Mevlüt Çavuşoğlu: We will drill "whoever says, whatever they say"
Tensions are expected to rise in the eastern Mediterranean in the coming period, as Ankara plans to drill in Cyprus in the maritime area between the Occupied territories and Turkey in early February. 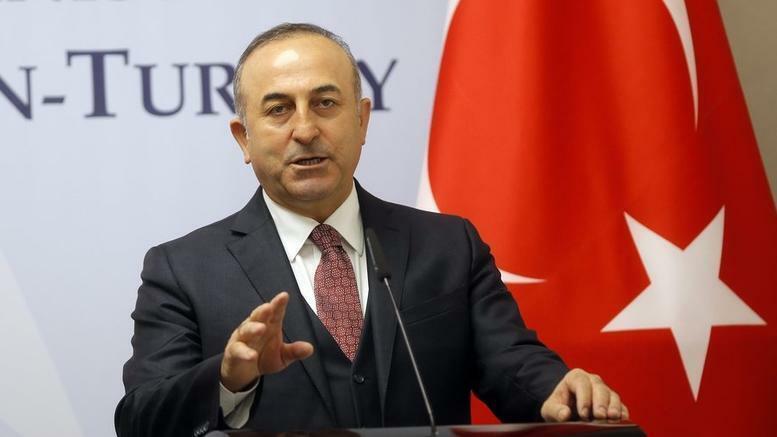 Turkish Foreign Minister Mevlüt Çavuşoğlu, who visited the Occupatied territories, said the drill from the Turkish side in the region would be the answer to the “unilateral actions of the Greek Cypriot side”. At the same time, according to Turkish media, he described as a “dream” and a “waste of time” the resumption of negotiations for the solution of the Cyprus problem, reiterating that Turkish Cypriots have shown sincerity over the past period, unlike the Greek Cypriot side. The Turkish official has repeatedly confirmed Ankara’s intention to drill into the Cyprus Exclusive Economic Zone, stressing that Turkey “does not close its eyes before the drilling of the Greek Cypriot side”. In the coming days, as the Turkish Foreign Minister has made known, arrives in the Mediterranean the new drillship that was recently acquired by Turkey to conduct exploratory drilling in the Turkish EEZ and the areas for which Ankara has received the required “license” from the pseudo-state. “The drilling will start whoever says, whatever they say”, said Mevlüt Çavuşoğlu. “Our second drilling rig will be in the area in February. Initially, the plan was to send it to the Black Sea, but now we will send it to the area around Cyprus”, he added.